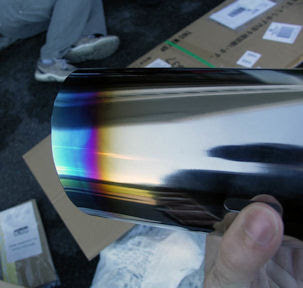 I finally had given into desires and got my cat-back exhaust that I really wanted for my car. 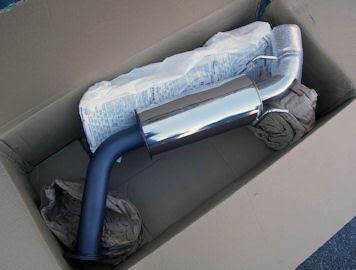 I had ordered the HKS Hi-Power Single Exhaust from the boys at Fluid Motorsports. Big thanks to them for taking care of my order with great customer service, so don't hesitate to give them a call with any questions. 2. The sound clips I heard on Youtube sounded great! So I really couldn't say no when I heard the great price! I recieved the exhaust Friday and went to a NEPOC install meet to have help from my friends Josh, James, Jimmy, Thol, and Bruce. Big thanks to everyone, especially Josh who was under the car the whole time (My hand still hurts from being broken, so I was next to useless!). 5. Slowly pull the exhaust away and swap in the new one! For starters..The sound was excellent and the youtube videos do NOT give the exhaust justice. It's very deep, much like a Subaru STI's stock exhaust, only louder. In terms of difference, I can feel a bit more low-end pull, but nothing else that is really noticeable. It weighs about 15 pounds, and stock weighs 37, so some savings there as well. 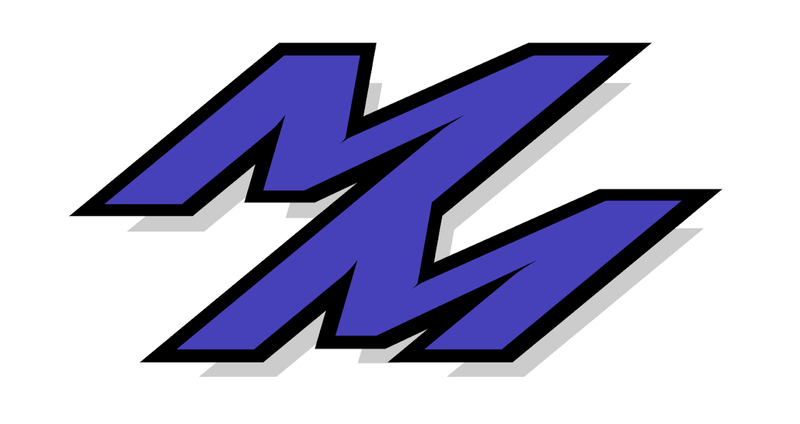 At the moment unfortunately, at idle I can hear something rubbing against the car, and so I hear a high pitched squealing of metal being rubbed...I will update this blog with the fix to it once I take care of that. Stay tuned. Thanks to Josh for uploading these great videos. 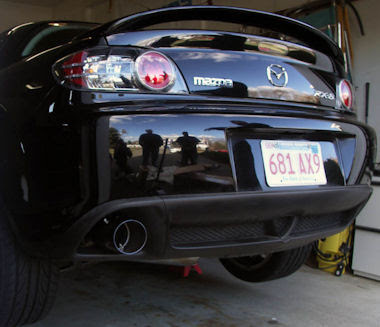 Looks Great, we love to see people as passionate about the RX-8 as we are! Thanks Fluid! 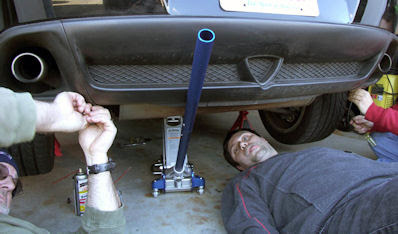 And thanks for the help in getting this exhaust to me. sounds a bit loud...is it? Stock Cat. It is loud but it really depends how you drive it. For the videos, I was pushing it...So for daily driving, you will hear it deep and louder, but not terrible.